Someone from The Berry Schools writes to Mrs. Chambers and lets her know that the woven spread was passed on to the lady in charge of Sunshine Cottage who is trying to match the thread. 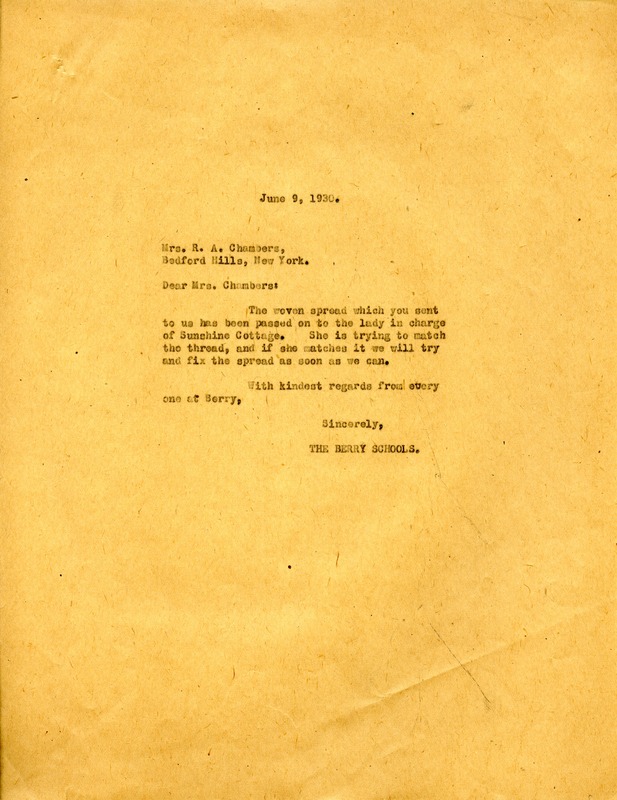 The Berry Schools, “Letter to Mrs. R. A. Chambers from The Berry Schools.” Martha Berry Digital Archive. Eds. Schlitz, Stephanie A., Chelsea Risley, et al. Mount Berry: Berry College, 2013. accessed April 26, 2019, https://mbda.berry.edu/items/show/12077.